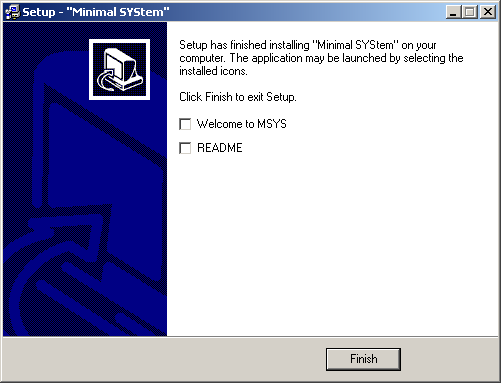 This is the old MSYS/MinGW installation used before the new mingw-get-inst was available. First, you need to download MinGW. You can either click through the websites mentioned above or go directly to the MinGW download area. Look for the Package "Automated MinGW Installer". There, download the file ending in .exe. The file name should be something like "MinGW-5.1.4.exe". You can also download MinGW Version 5.1.4 from the link given here. You may download MinGW 4 and follow the instructions in the section called “MinGW 4.x”. You may download MinGW 3 and follow the instructions in the section called “MinGW 3.1”. 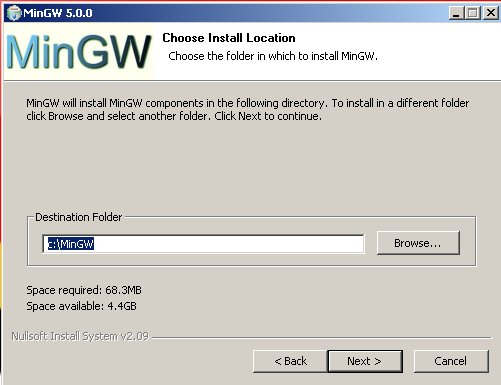 Most of the options in the MinGW 5 installer are pretty straightforward. I will point out some of the more tricky options. 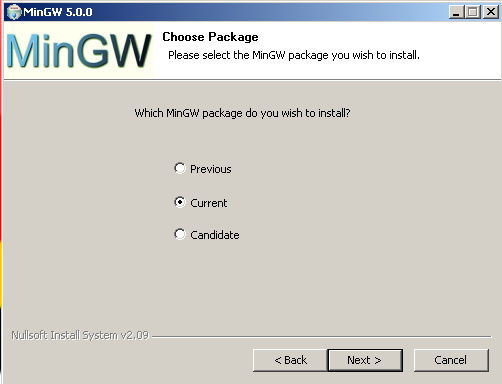 The first one of such options is which "MinGW" package to install. Any of those should work just fine, but I would recommend Current. MinGW will ask which components to install. Either select All or at least make sure that you have the g++ compiler checked. This is needed for C++ support. When asked for the install folder, please do not change it. You will have a lot of trouble later on, especially if you chose a path that contains spaces. That's already it for MinGW. There are two more steps: MSYS and the Environment Variables. should print the version of gcc. If you get a "File not found", try logging out and logging back in, or even rebooting your computer. If it still does not work, you have not installed MinGW correctly. You may also need to set your environment variables manually (see below). should print the version for g++. You did select the "g++ compiler" I hope. If not, install again! This section is completely optional. You may skip it and go directly to the section called “MSYS 1.0.11”. If you want to use the debugger, you may have to install it separately. This is the case with MinGW 5.0.2, it may be different in other versions. Download it from the same page, look for a package starting with gdb and ending with .exe. At the time of this writing (Apr 29) the current version was "gdb-5.2.1-1.exe". Install (double-click) that .exe, select all the default options (make sure you select the same MinGW directory as you did during the MinGW install). I have received a report that gdb-6.3-2 does not work. So I would advise using the older version or waiting for a newer one. should print the gdb version. This is optional. Caveat: If you have not used the default paths, but instead have installed MinGW in a different location, such as C:/Program Files/MinGW, where the path contains spaces and / or is longer than 8 characters you may have to replace that particular path component with its DOS short pathname, such as C:/PROGRA~1/mingw. Caveat2: The installer may be case sensitive. Please make sure you have written MinGW in the same capitalization as during your first install, in some cases you will have to enter c:/mingw (note capitalization!). Where you can press any key you like to continue. Setup will come back and ask you if you want to read a welcome note and the README file. You probably don't want either one, but it does not hurt to look. Anyways, once you hit "Finish" you are done with the setup. Now you have to set up your Path environment variable. This is only required if you did not download the CDT version as described above. 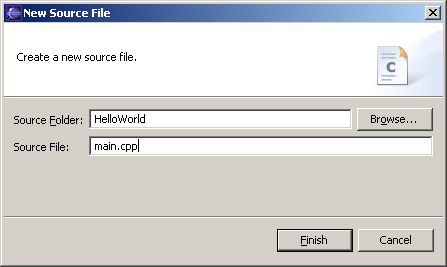 Please check if you are able to create a new C++ project (as described in the section called “Hello, World!”) before going through this section! 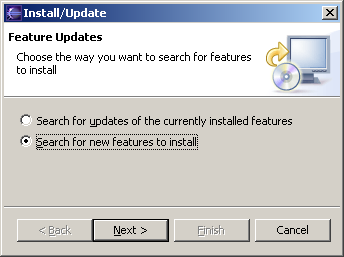 In the "Help" menu select "Software Updates..."
This will show you the list of available software update sites. If you are luck you already have the CDT update site configured. 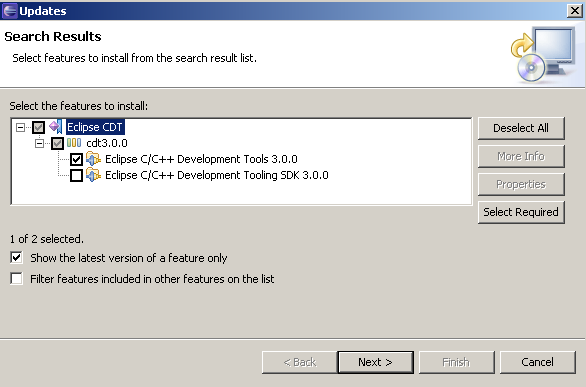 Search for an entry which contains the String "cdt", for example http://download.eclipse.org/tools/cdt/releases/ganymede. If there is no site for cdt available, go to "Manage Sites", and you will get a list of sites. Also, make sure the checkbox next to the Address is checked. 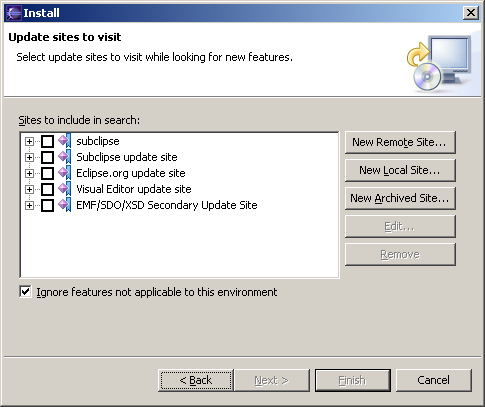 Otherwise the site is configured, but ignored by Eclipse. Leave this page and go back to the main Software update page. You will have to confirm the selection with "Finish"
Downloading and installing will take a while. Once its done it will ask you to restart Eclipse. This is a good idea, so select "Yes". 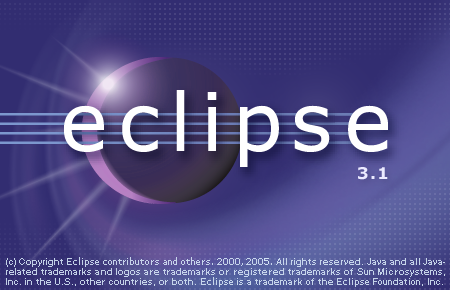 Once Eclipse has restarted you now need to configure it for your computer. Once you are in Eclipse, you are given an empty workspace. You now have to start a new project. To do so, select "File" / "New" / "Project...". 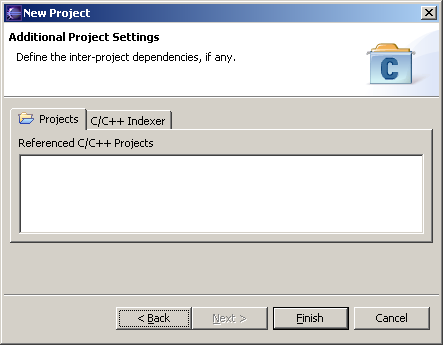 Expand the section "C++" and select "Managed Make C++ Project", then click "Next >". On the next screen, you have to give your project a name. In this case, it will be "HelloWorld", however, you may use any name you like. 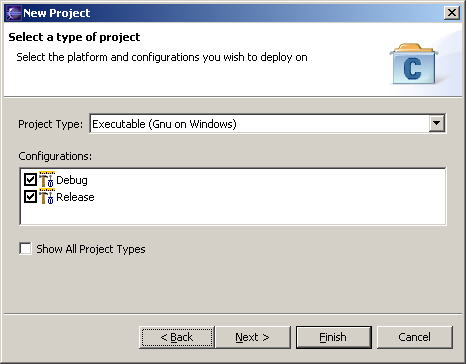 Leave the "Use default" in "Project Contents" checked. Eclipse will now generate a few things, and then ask you if you want to switch to the C/C++ Perspective. This is a good idea, so say yes. Great. You have a project now. However, it currently does not have any files. So select "File" / "New" / "C Source File". It will then ask you for the name of the file, type in something like "main.cpp". 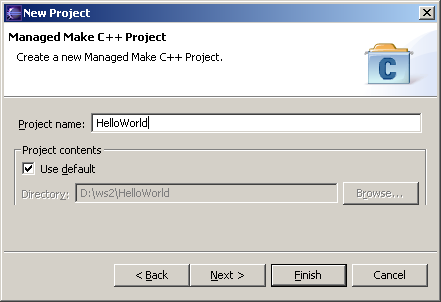 Now here comes the tricky part: On the left pane, select "C/C++ Projects", expand "Binaries" and you should see and executable (HelloWorld.exe). Now right-click that executable, and select "Run" / "Run Local C/C++ Application". If everything goes well your output will be in the bottom right window in the "Console" tab and it should say "Hello, World". Congratulations! You have successfully installed a compiler, a build system and an IDE. You have successfully created, edited, compiled and run a project. You should now be able to start your own projects! Now we are finally ready to install Eclipse. Go to the Eclipse website and look for "Downloads". It will automatically try to figure out your OS and give you an option like "Download now: Eclipse Platform SDK 3.1, Windows.". Do it. You will receive a .ZIP file. Use either FilZip or your favorite ZIP Program (Windows XP and Mac OS X have .ZIP support build in) to unpack the file. 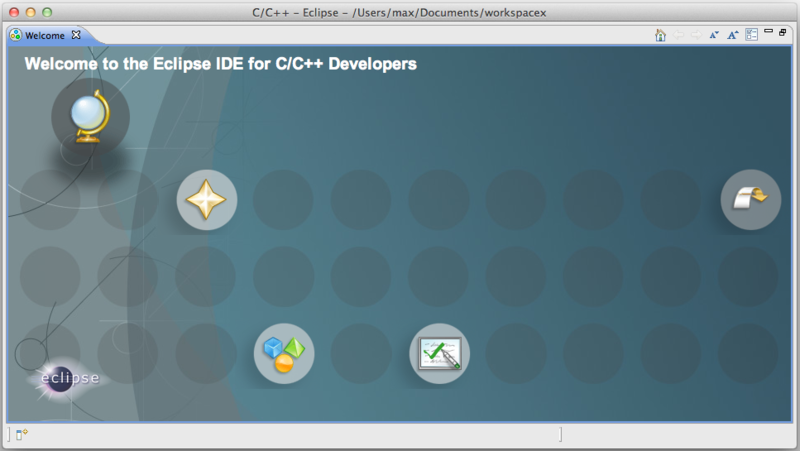 Move the unpacked folder to any location, for example C:\Program Files\eclipse. 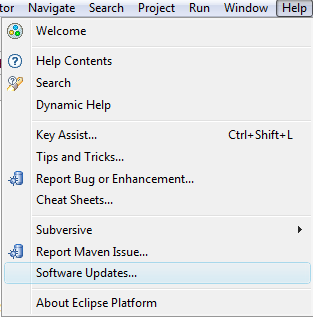 You can now start Eclipse by double-clicking it. And if you select the "Go to the workbench" in the top right corner, then you are right in Eclipse and you can start developing in Java. However, since we want to develop in C++ just continue with the next section. 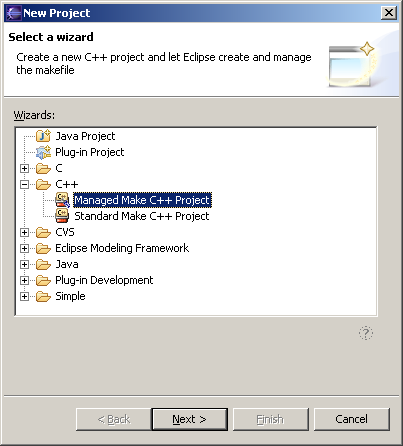 Eclipse by default comes with support for programming Java, the support for C/C++ (the C Development Toolkit) has to be installed as an update. 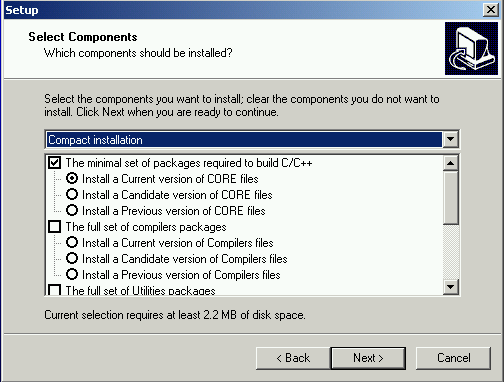 Select the latest version of the "Eclipse C/C++ Development Tools". (3.0.1 at the time of this writing) Do not select any other features. Hit "Next >". In the next window, you will have to "accept" the license, and then select "Next >". It will again show you an overview, which you can just accept and select "Finish". 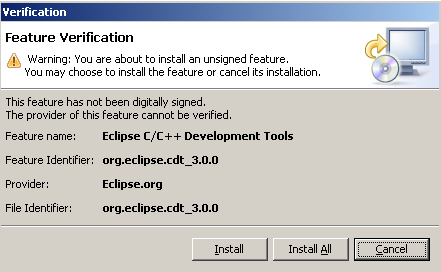 It will warn you that the Eclipse CDT is an "unsigned feature". But you can just ignore that and select "Install All". 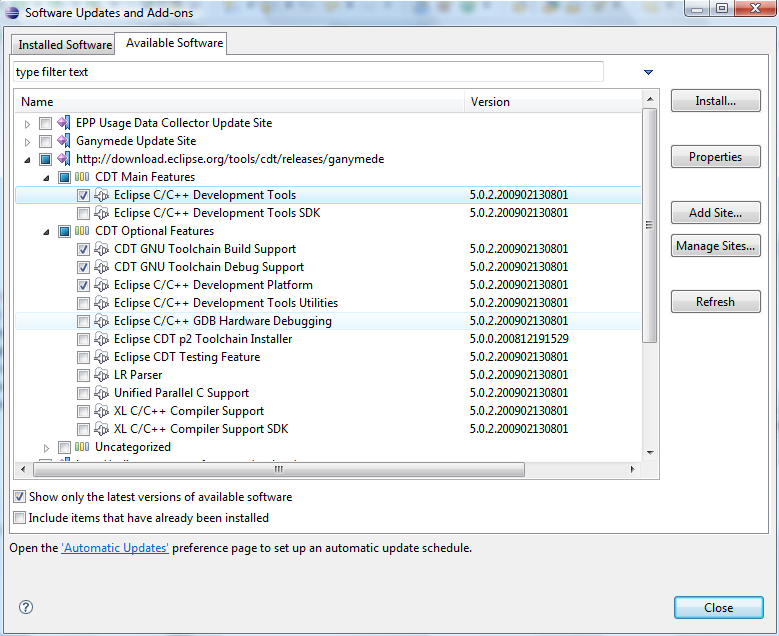 Eclipse 3.1 with CDT 3.0.0 (and 3.0.1) has a bug on windows! 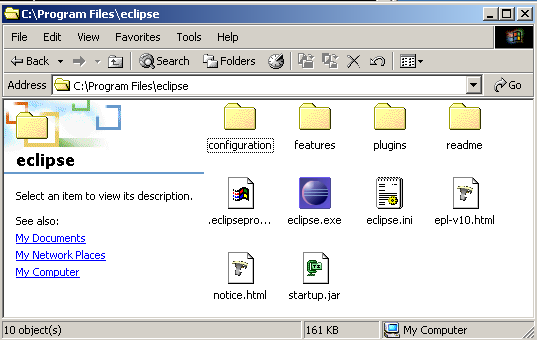 If you are on windows, please close eclipse, and delete the file spawner.dll in eclise\plugins\org.eclipse.cdt.core.win32_3.0.0\os\win32\x86. This bug appears every time you try and run short programs (they will not show any output). 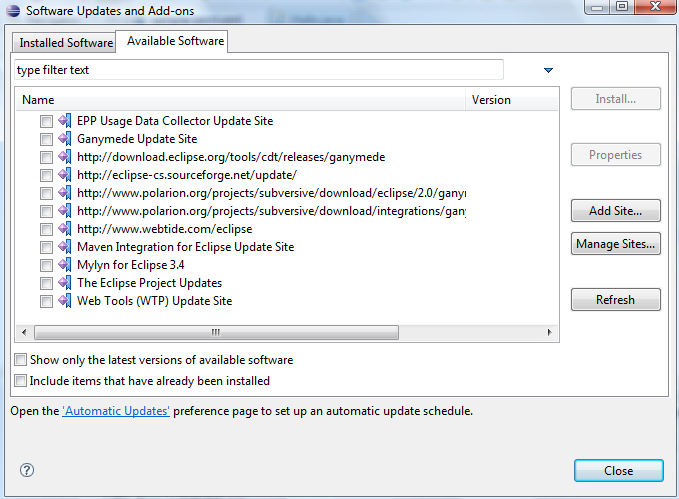 More information is available in Eclipse Bug 102043. This bug is fixed in CDT 3.0.2. 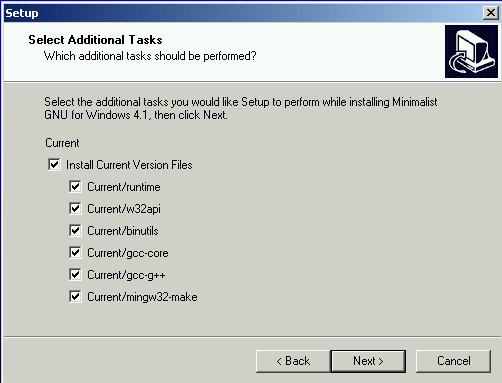 MinGW 4.x comes with a new installer that asks much more questions than the old one. 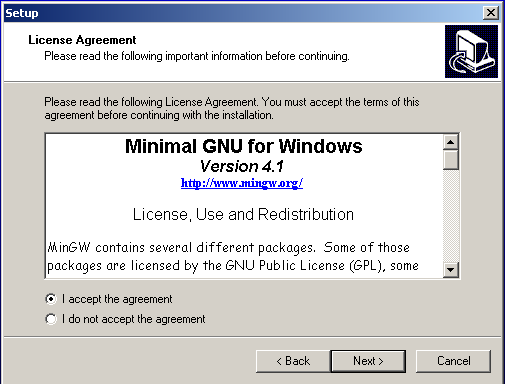 The current (Aug 05) version is MinGW 4.1.1. It will ask you for a download mirror. Of course, you should pick one close to your country. If you are installing from home in the us, use a commercial mirror, if you are installing from a university connection, chose a university mirror. 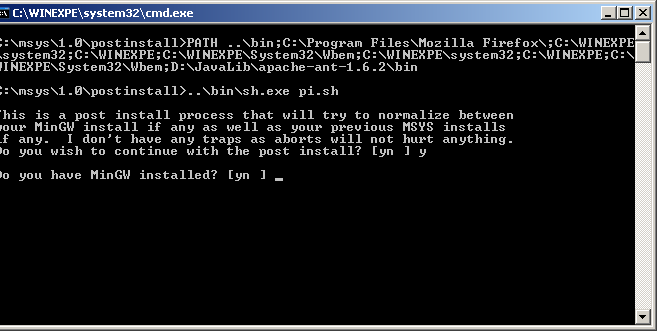 When installing MinGW, it is advisable to use the default directory C:\MinGW. Do not use a path that contains spaces, this will give you problems later on. 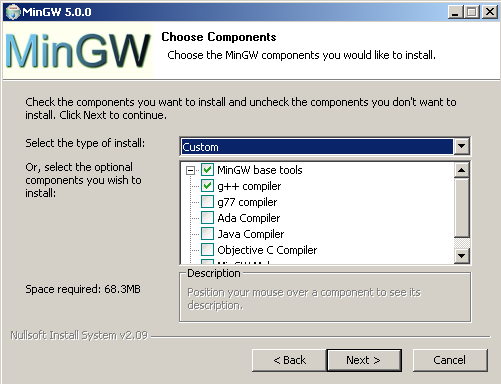 MinGW will download and install your selected components. After a little while your installation is done. You will now need to install MSYS. 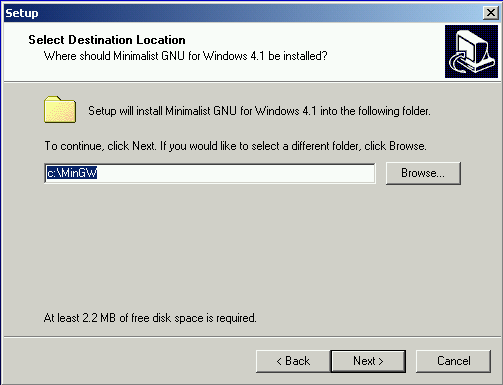 If you accept all the default options MinGW should install just fine.